Wishing you all a very happy Pongal / Makara Sankranthi. Lets hope that this harvest festival brings loads of joy and happiness in our lives! Our 2 year old joins me in wishing happy pongal to everyone. Pongal / Makara Sankranthi is celebrated with the traditional sweet “Pongal dish”. 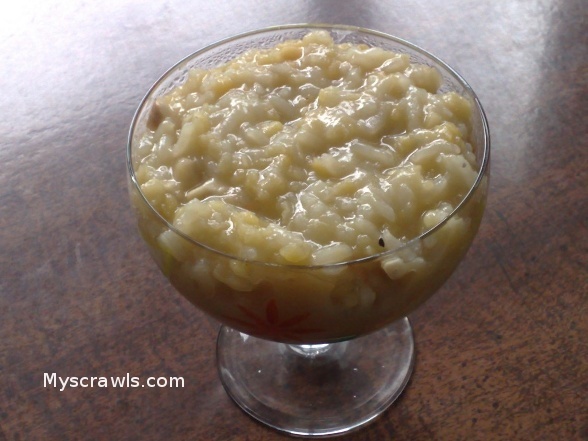 There are various versions of sweet pongal. 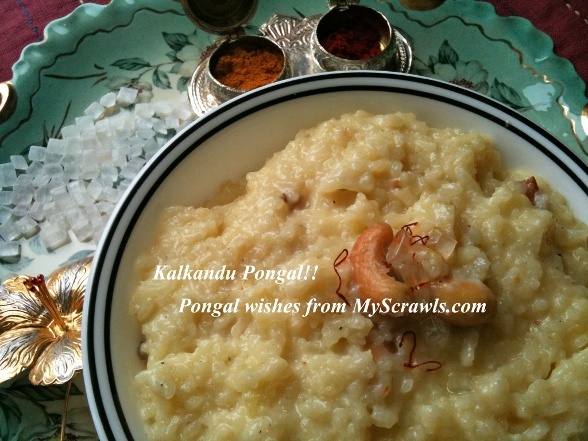 Last year I had prepared Kalkandu pongal (pongal recipe using rock sugar). Click on the image to read the preparation method. Sweet Pongal or Sakkarai pongal is prepared with new harvested rice and jaggery (Pacharisi and vellam). Traditionally sakkarai pongal is prepared using a clay pot. It is offered to Sun god to thank him for the hefty harvest. Here is my version of Sakkarai pongal prepared in pressure cooker. Click on the image to read the preparation method.